JUST ADDED! Merel Pedicure Stool Is Functional AND Affordable! 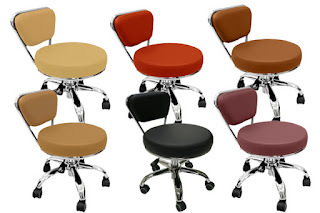 Available in 6 colors, the new Merel Pedicure stool is the perfect stool for performing pedicures in any salon. And with a price tag of $67.50, you can get one of these for each of your pedicure stations without breaking the bank! Check out Pure Spa Direct for this great stool, as well as 65,000 other products to fill your every salon and spa need!